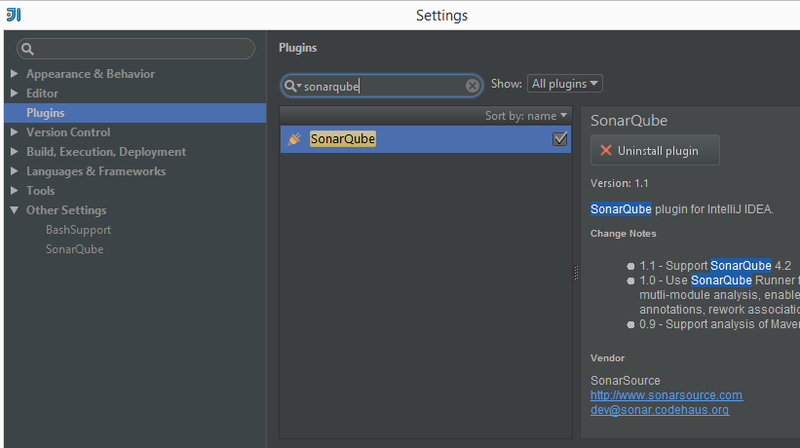 SonarQube provides a plugin for IntelliJ (and Eclipse as well) which is a great tool to perform dev-box code analysis before committing or checking-in your changes. It gives the developers a chance to check and make sure they aren’t introducing any new defects or technical debt in the code they have added or modified. 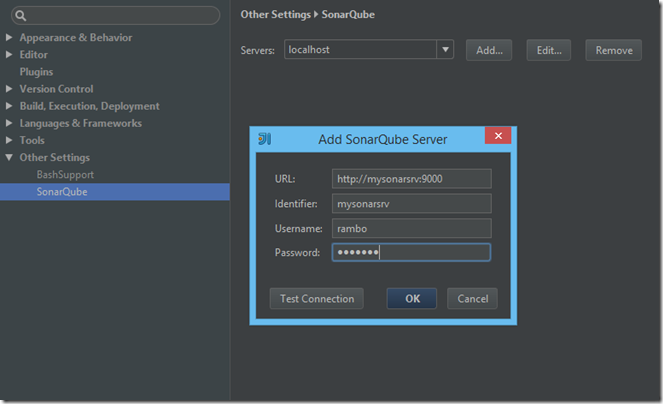 Here’s how to set up the plugin and get going. 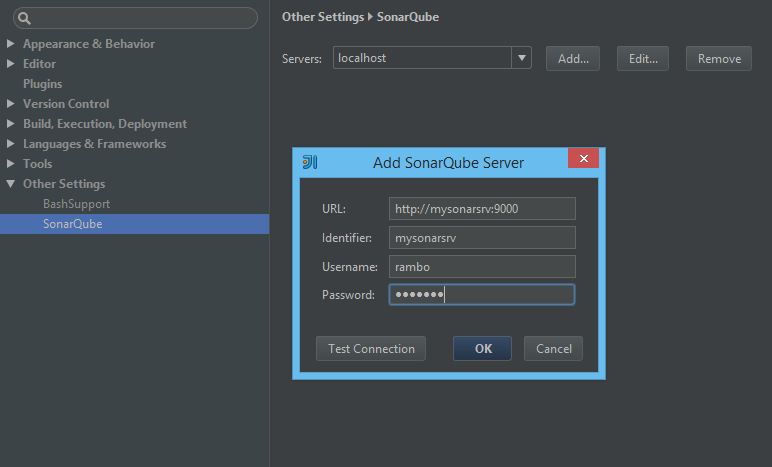 Add details about the sonar server here. The plugin will use this to download the quality profile/analyzers etc. 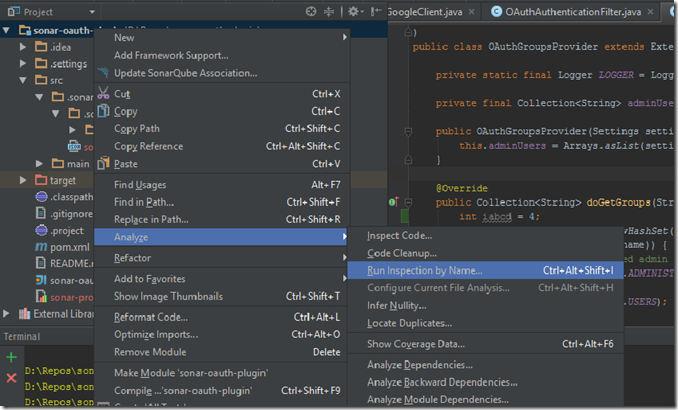 This plugin executes the analysis in preview mode where no data is pushed to the server. Right click on the project in IntelliJ and select "Associate with SonarQube…"
In the "Inspection Scope" dialog, select Custom Scope and set its value to Changed Files. This will ensure that the analysis is run on the files modified by you. The plugin will run the preview analysis and display the results in the inspection tab. 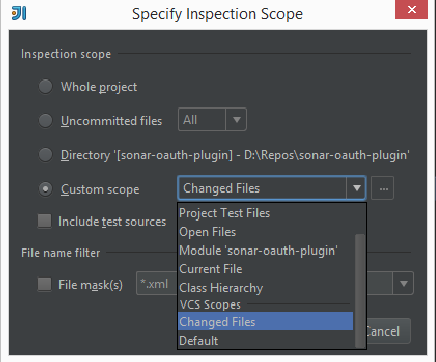 The inspection shows issues in two files which were modified before the analysis.